Immediate pain relief from cuts, bruises, insect bites and stings. Relieves the pain of Eczema and Arthritis. 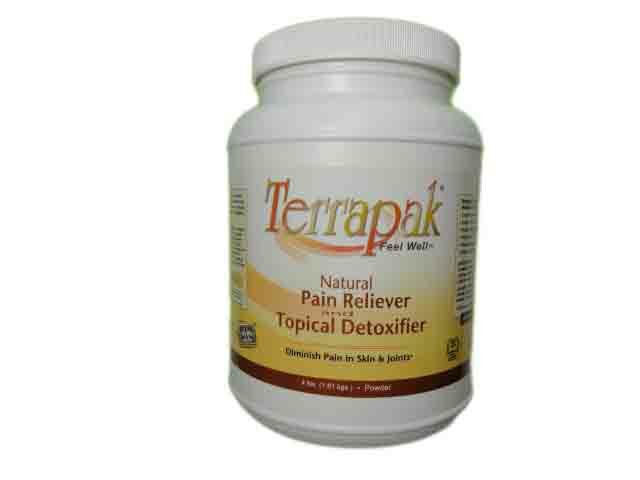 Terrapak is an all-natural, ionic clay mineral powder. Hydrated to a paste and applied as a poultice or a body wrap, in minutes you'll feel it begin to tighten your skin. As the mixture dries, you can feel the complex of minerals within the clay working to pull out impurities while effectively quelling the pain.